So here we go. My first post on this blog. As I have got into baking few months ago, I thought I might share all my triumphs and very many disappointments with baking but I am learning and slowly getting there. But even though sometimes things don’t work out as planed, I enjoy every minute I spend in my kitchen. And like I said in the beginning of this post, I have been stuck inside the house, mostly in bed for a while now but today I felt little bit better and the first thing that came to my mind was “Let’s bake!” Oh how I missed it. I just made a simple Apple and cinnamon pudding but the pleasure I got out it, and that sweet smell coming from the oven…I was like a kid who’s Xmases all came at once. My plan is to make a gluten free orange cake. All the girls at work have been talking about this cake that they have been buying from work cafeteria and as much as I have to agree with them, I am sure it can be improved. After all, home made cakes are always the best, right? 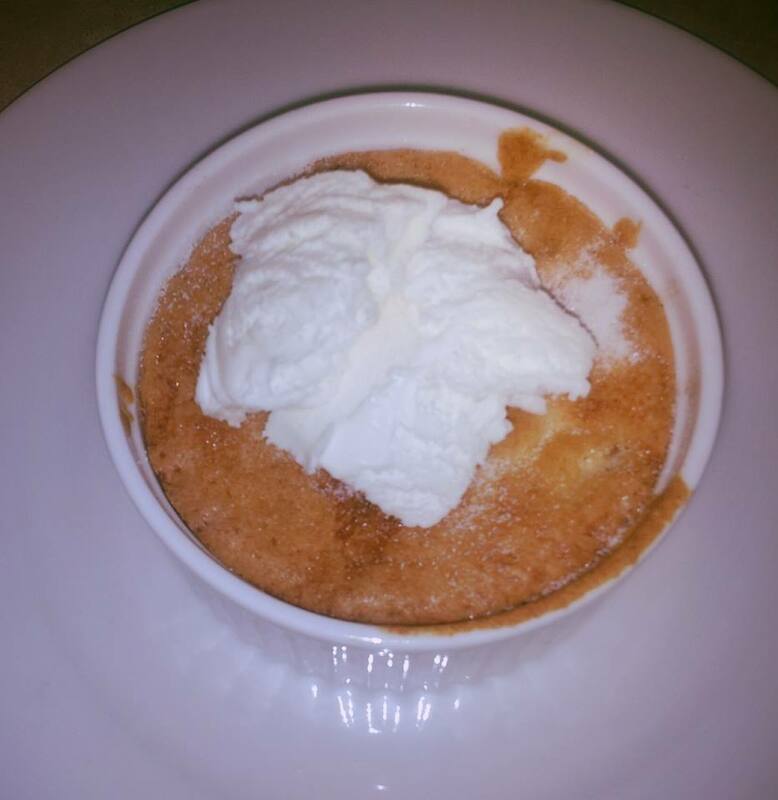 Anyway, if you are interested in trying out Apple and cinnamon pudding I have posted the recipe under “recipes”. And here is a pic of a very simple and yet amazing dessert. I served it with vanilla ice cream and it was a big hit. Now that is exactly the question. What is this flippen blog about? I am like a crow. If it shines, I like it. If it is pretty, I like it. If I can eat it, even better! My world seen through the camera lens.